Dear Ciera, Samuel, Katherine, and Layla, I'm so glad you like my books. Ciera, thanks for being my number one fan! Samuel, I try to write a chapter a day. Laura-lee, Jalyssa, and Zoe, thanks for your fun ideas! 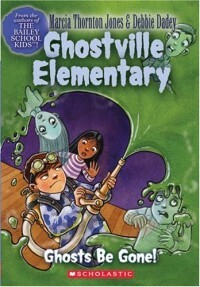 Shane, I hope you'll enjoy the Ghostville Elementary books. Hope you won't be scared! A big hello to Anthony and Dominic. Dominic, I love that you are a Bailey School Kids fanatic. Bigfoot Doesn't Bake Biscotti was a fun idea! 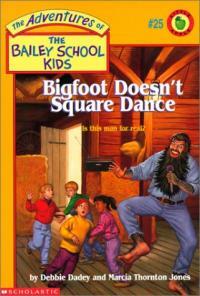 Have you seen Bigfoot Doesn't Square Dance? Hi Jaida, Ashwin, and Tori. 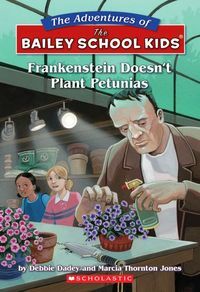 So glad you are enjoying the Bailey School Kids books. Noah, I was born in Morganfield, KY and grew up in Henderson, KY. I was a cheerleader in elementary school and junior high. I also was on a junior high basketball team. I worked at McDonald's during high school to buy my first car, a blue Gremlin. You can see my school pictures in my photo album. Good luck with your report. 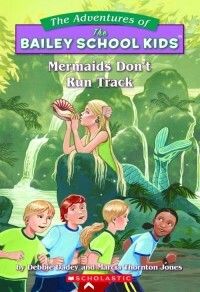 Joey, I'm glad you enjoyed Mermaids Don't Run Track. Liza doesn't want to jump in because she doesn't swim well. I think the seashell comb does have a connection to the mermaid world, don't you? 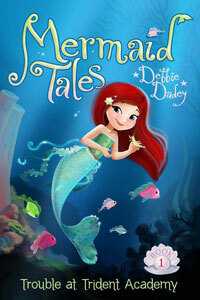 If you like mermaids, you might like to check out my new series, Mermaid Tales.